Packaged with foam blocks in reusable mesh dunk bag with cord lock. 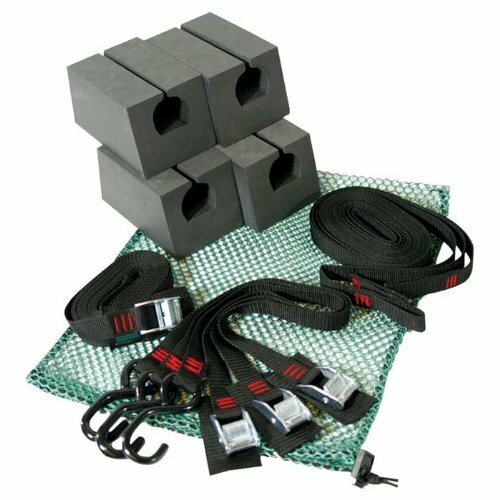 Includes 4- wide mouth foam blocks, 3-20" straps with cam buckle and S-hook, 3-9' straps with sewn loop, 2-18' strap with cam buckle and instructions. Regular has 4- standard mouth foam blocks. Made in USA.